Final stages of completion of tomb 3. Insert in base moulding ready for finishing. Alan Young proudly presents the main notice board just installed and ready for filling with PR materials showcasing the project. The team working under intense pressure to complete the last memorial. Repairs to the top backing panel. 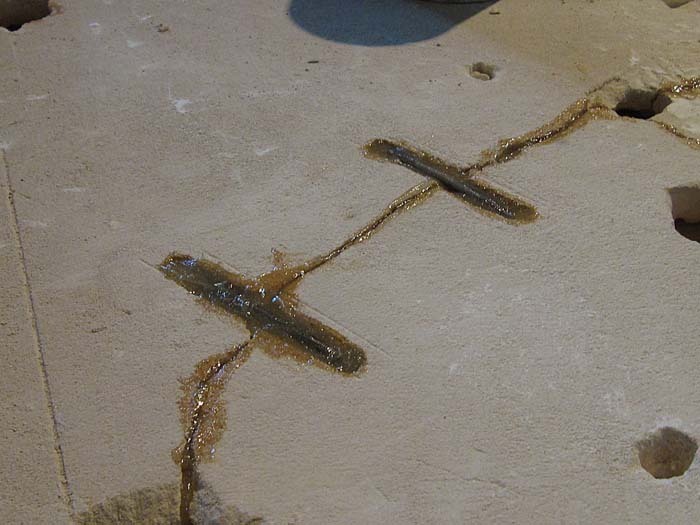 Note the use of threaded steel cramps set in resin to reinforce the joins. Other reinforcing rods will be fitted in the same plane as the backing panel, within the material. 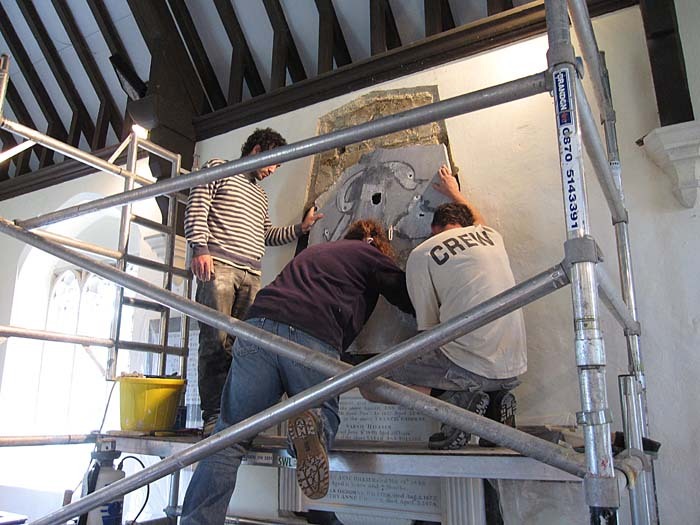 The inscription panel nearing completion. Double stainless steel bars in set into the wall carry the weight of the top panel. The top panel is carefully positioned on its support bars prior to fixing in place. 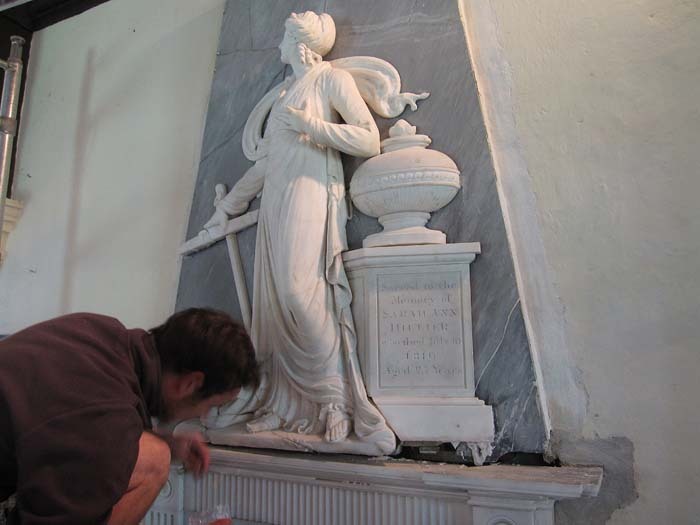 The top panel is being reinstalled initially without the marble figure. 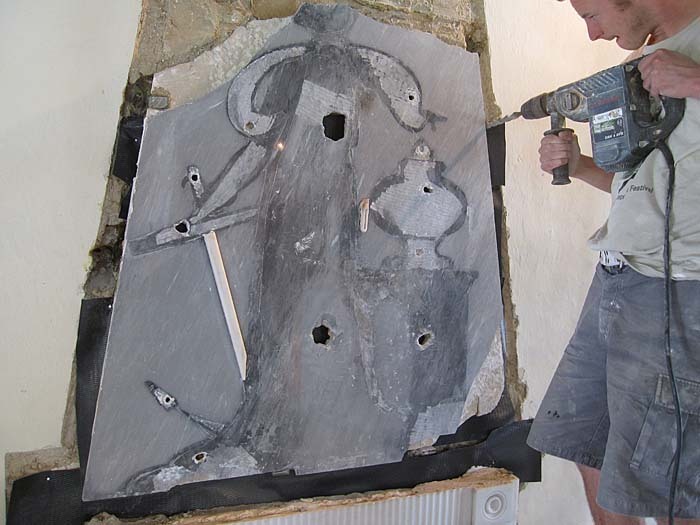 The figure will be fixed through the back panel directly into the wall. The appendages may be fixed to the backing panel - to be decided. 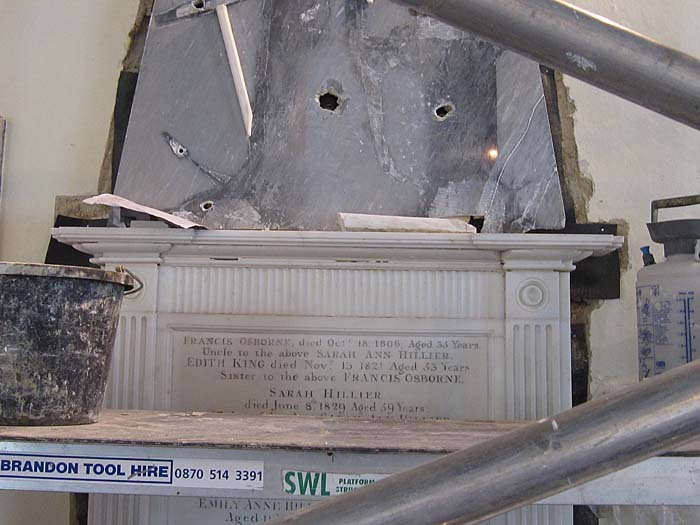 The top cornice on the inscription panel has been replaced leaving final filling to complete the lower section. The marble figure of Hope on her way up to the top panel. The marble backpanel in place with fixings prepared ready for the main figure to be fixed in place. The marble figure of Hope and associated marblework has been fitted. The Hillier memorial fully reinstated. Decorative plasterwork being replaced. Some additional parts may be made to replace those lost over the years. Replacement section of the plinth carved and inserted ready for final finishing. 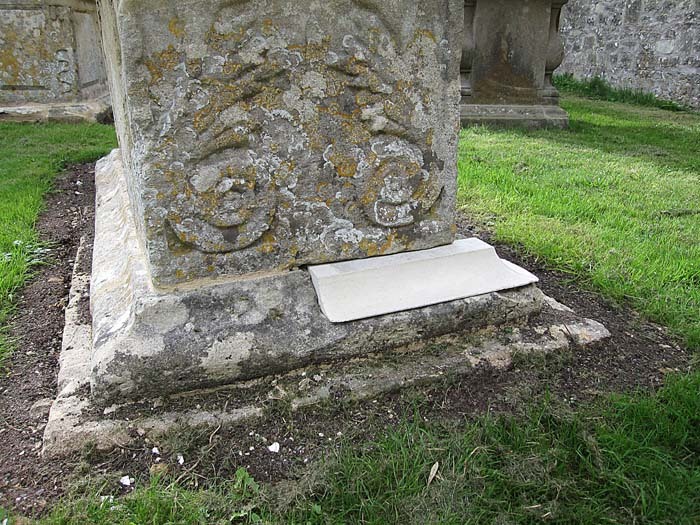 This was the only stone insert found to be necessary for any of the tombs. 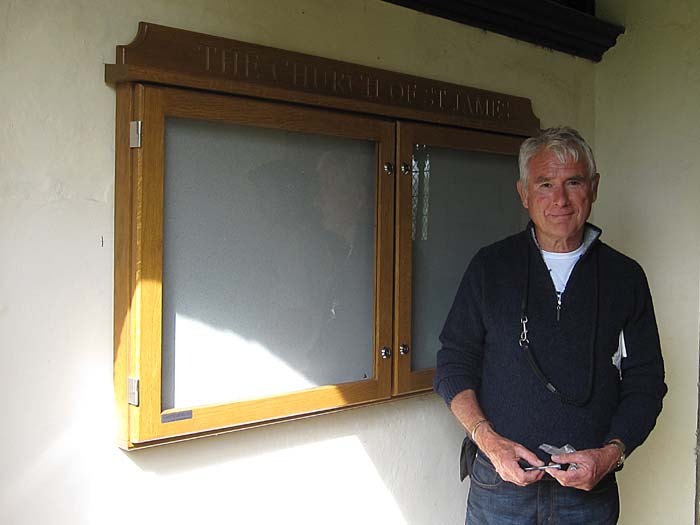 New Notice Board in the church porch for display of publicity materials on the Tombs and Memorials Project. 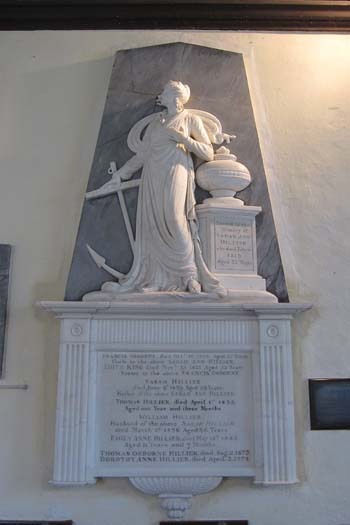 Hillier memorial - This memorial is the heaviest memorial in the church. It has serious cracking in the back panel and front facing marble so it has to be removed from the wall in numerous pieces. The main central fixing of the top section has rusted badly and appears to have been the main element causing the most damage. The lower part of the top section to which the carved figure elements are attached was found to be in one piece making it very heavy and difficult to handle. 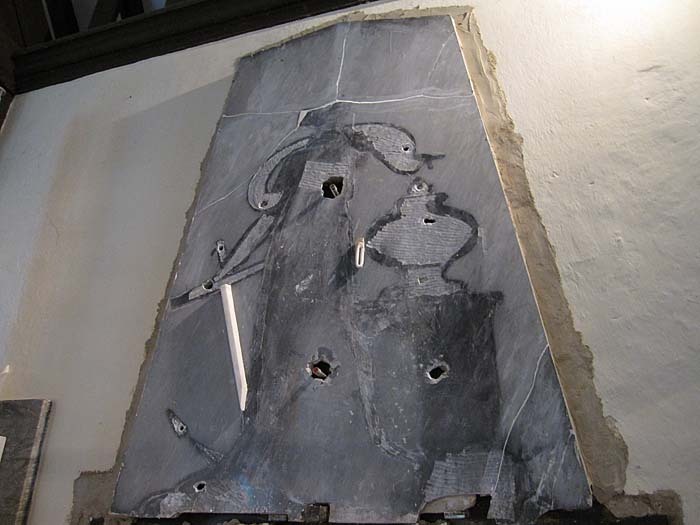 Once removed, fixings of the marble figure and associated elements to the panel were visible. 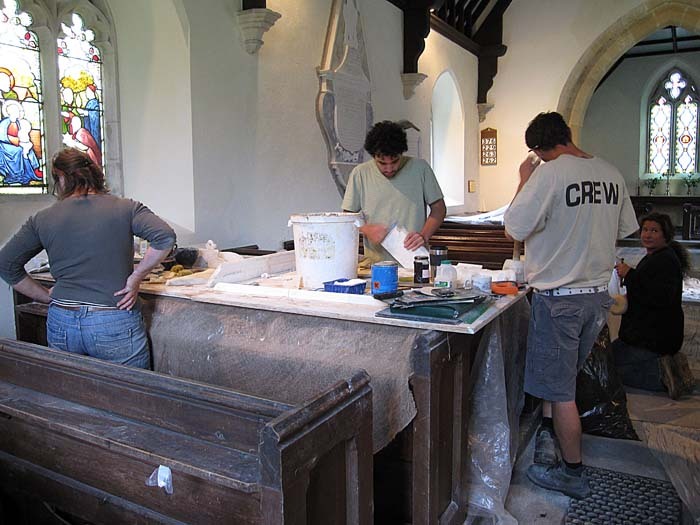 All of the fixings have been removed, parts in marble cleaned and repairs to the backing panel and marble background panel made prior to reassembly 'on the bench'. 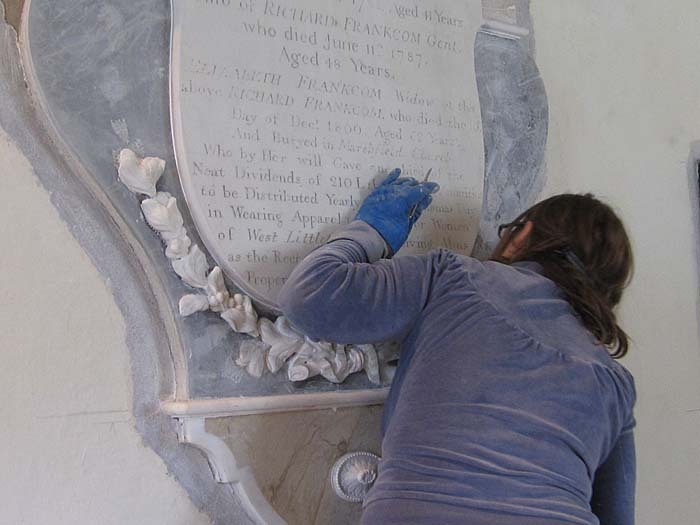 The main part of the lower inscription panel was reinstalled first. Then the top back panel was put back on the wall and secured with stainless steel supporting bars and cramps. 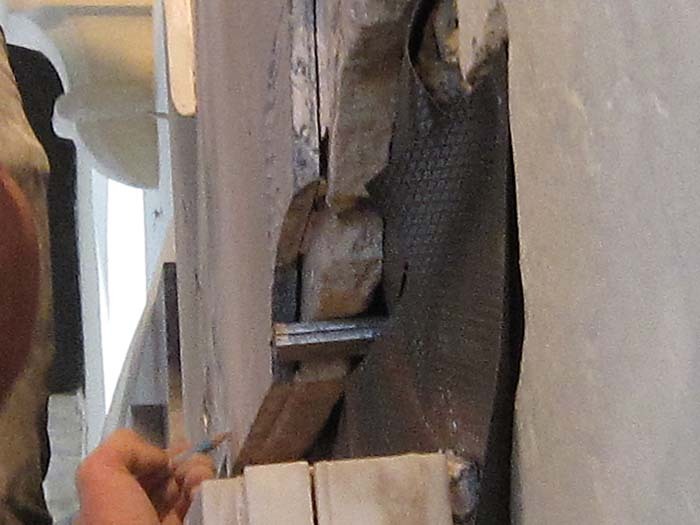 The marble pieces were then fixed in place with stainless steel fixings directly into the wall behind. 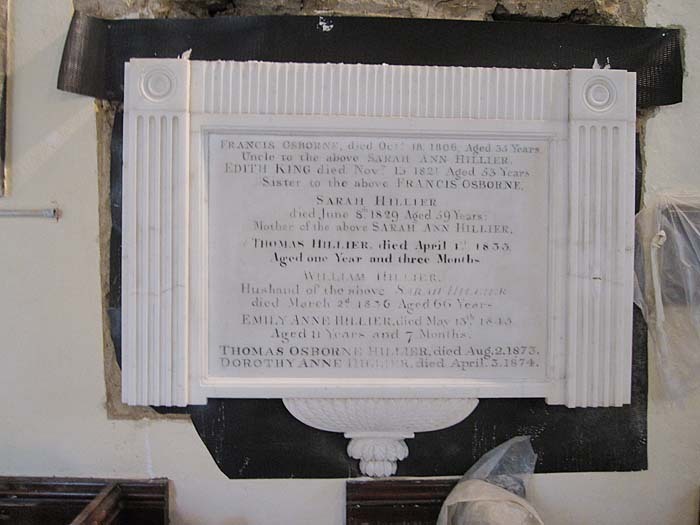 The lower inscription panel then had the detail elements refixed and grouted. Much of the detailed decoration around the lower part of this memorial has been lost over the years. All of the pieces found and saved have now been restored but there are many missing pieces. 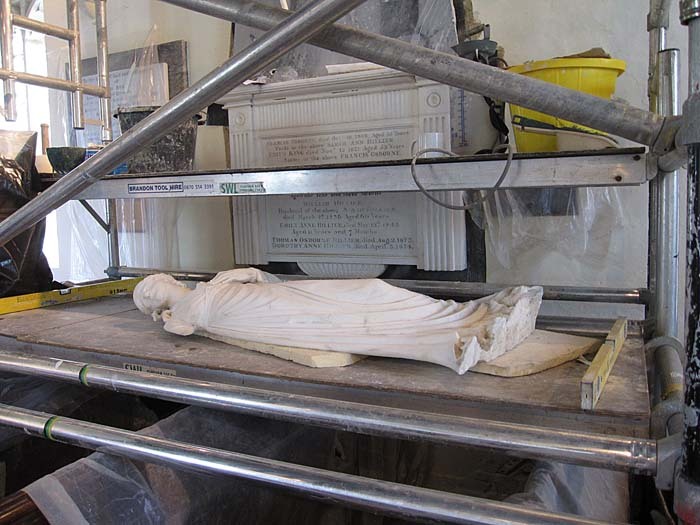 Consideration is being given to making the necessary replacements in plaster.